There are many different mounting adapters available for the MPR E-Scan refractometer. These adapters have been designed and modified with decades of field experience to provide the most successful installation for specific applications. The video below provides a quick visual tour of the most popular. For more information visit http://www.electronmachine.com or call 352-669-3101. This post is intended to give a basic understanding of the use of inline refractometers in commercial food and beverage production. According to Wikipedia, "Refraction is the change in direction of wave propagation due to a change in its transmission medium." To understand more clearly, consider this. If you place a pencil in a jar of standing in water and look through the jar, it appears to be broken at the water line. When you add sugar to the water, the pencil appears to bend even more. The reason for this is because light travels slower in water than through air. When you dissolve materials (sugar) in the solution, the light will travel even slower. Understanding this basic concept allows you to understand how you can measure, and therefore control, the concentration on a material in a solution through the use of refraction. The refractive index (RI), is the ratio between the speed of light in vacuum and the speed of light in a given media. It determines how much light is bent, or refracted, when entering a material. The Refractive Index of air is 1.0003, and the RI of most gases, liquids, and solids is between 1 and 2. Food and beverage industries prefer to use their own units rather than the index of refraction for controlling quality of their product. Examples are measuring sugar content in tomato products, citrus juices, and jams and jellies. 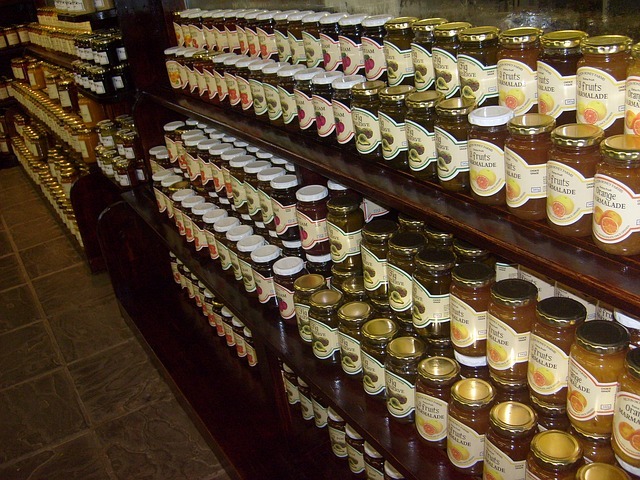 These industries prefer to use the % Brix scale, which refers to the sugar concentration. Refractive Index is easily converted to % Brix units through simple calculations. Industrial inline refractometers directly measure the Refractive Index of process fluids and then display the reading in any number of customer-desired units such as Brix, Percent Solids, Dissolved Solids, etc. highlighting sensing element and electronics console. There are two primary components to an inline refractometer, the electronics console and the sensing head. The electronics console usually contains a display of some type, and provides a standard output such as 4-20mA. Optionally, there may be some form of networking protocol such as HART® or RS-232/422. The sensing head is installed in line by mounting the prism assembly in a pipe and inserting this pipe section in the process line. Vessel mounting is accommodated by having the prism assembly inserted in a flange that can be attached to a storage tank or mixing tank. For more information on any commercial or industrial application for inline refractometers, contact visit Electron Machine at http://www.electronmachine.com or call 352-669-3101. 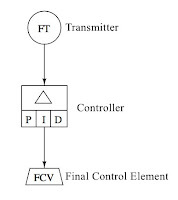 Transmitters are process control field devices. 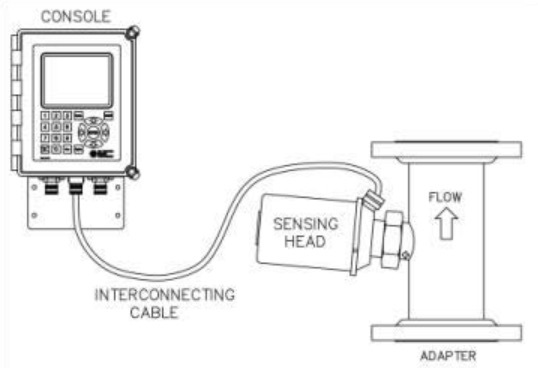 They receive input from a connected process sensor, then convert the sensor signal to an output signal using a transmission protocol. The output signal is passed to a monitoring, control, or decision device for use in documenting, regulating, or monitoring a process or operation. Transmitters are available for almost every measured parameter in process control, and often referred to according to the process condition which they measure. The refractive index determines how much light is bent, or refracted, when entering a material. When light moves from one medium to another, it changes direction (refracted). This change in the direction of the light can be measured and applied to properties of the material. 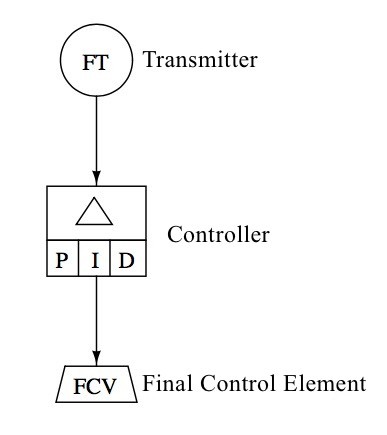 Example of Industrial Refractive Indextransmitter/controller. 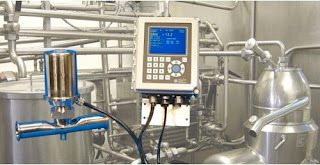 Industrial Refractive Index transmitters directly measure the refractive index of process fluids. 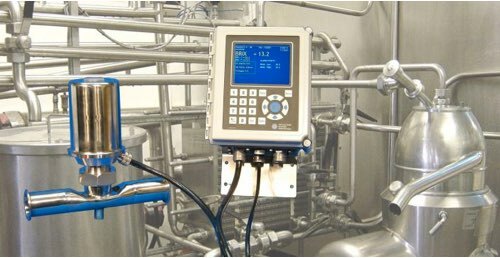 It then conditions the input signal, making it linear, and then converts that signal into any number of customer-desired units (Brix, Percent Solids, Dissolved Solids, SGU, R.I., etc.) and transmits a standard, linear electrical output (4 to 20 mA) that can be utilized by receiving instruments and displays. Many transmitters are provided with higher order functions in addition to merely converting an input signal to an output signal. On board displays, keypads, Bluetooth connectivity, and a host of industry standard communication protocols can also be had as an integral part of many process transmitters. Other functions that provide alarm or safety action are more frequently part of the transmitter package, as well. Industrial Refractive Index transmitters have evolved from simple signal conversion devices to higher functioning, efficient, easy to apply and maintain instruments utilized for providing input to process control systems. For more information on Industrial Refractive Index transmitters visit Electron Machine at http://www.electronmachine.com or call 352-669-3101.